In these terms and conditions “we” and “us” mean melbaschochocolates.com.au , and “you” means you the customer. We guarantee that every Credit Card transaction you make at melbaschochocolates.com.au will be 100% secure. 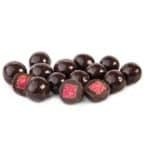 melbaschochocolates.com.au makes use of Secure Socket Layers (SSL) to encrypt all data provided by you. The following describes the payment option for your melbaschochocolates.com.au purchase. Our site is extremely safe. When transacting via our secure server, your credit card and personal details are encrypted using the latest industry standards SSL (Secure Socket Layer) 128 Bit encryption technology before being sent over the internet. If you are still unsure about purchasing on-line using your credit card, then we suggest you choose from the payment options below to ensure you are entirely satisfied with your shopping experience. 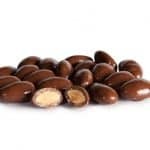 MELBAS CHOCOLATES WOODSIDE SA will appear on your financial institution statement as the company you have paid for your products and services. You will need to contact Melba’s Chocolates on +61 08 83897868 to arrange for payment. You may also discuss other methods of payment such as bank transfer. Sometimes we have some promotions running just in melbaschochocolates.com.au , and the promotion price is available just in our online store (melbaschochocolates.com.au). Your invoice will be emailed to you once the order is marked as completed. Your Invoice will be your proof of purchase. A delivery note will be included with the order. If you are paying by credit card, MELBAS CHOCOLATES WOODSIDE SA will appear on your financial institution statement as the company you have paid for your products and services. All orders are dispatched by Australia Post Parcel delivery. Pending your location, orders are expected within 2-5 days of dispatch within Australia, however, we do not guarantee that we will deliver within this time frame. International orders may take longer. For urgent delivery, please contact Melba’s Chocolates on (08) 8389 7868 to make special arrangements. If we are unable to deliver your Products to you within 14 days of receiving your payment, you will have the option to cancel your Order and you will be refunded immediately. Orders with free delivery will not ship until all items on the order are available for delivery. We are happy to discuss payment options to part ship orders. Your products are not insured against loss while in transit to you. 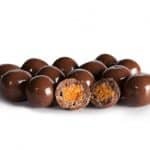 Please note that melbaschochocolates.com.au only permits the return of unopened products due to a melbaschochocolates.com.au shipping or order processing error and that all other sales are final. Please refer to our contact us page here to get in contact. The Contract will be governed by the law of South Australia. Both we and you irrevocably and unconditionally submit to the non-exclusive jurisdiction of the courts of that state. ” Warranty ” means manufacturer’s standard warranty. “DOA” means any product which fails to fully operate within 7 days of receipt of the product.